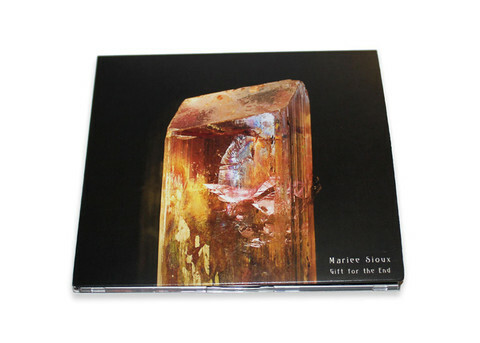 Gift for the End is the sophomore offering from California’s Mariee Sioux. Recorded in the summer of 2011 at Placerville’s Moonsoon Studios and Nevada City’s Sun Dial studios, the new song-cycle breathes as easily and resonates as warmly as 2007’s Faces in the Rocks but brims with audible shifts in ambiance and perspective. Impressionistic narratives are underscored by thatchwork guitar patterns that showcase Mariee’s voice, an unadorned, naked instrument that rings clear and high above airy atmospherics and mellow percussion. Gift for the End is dream logic at play: a fluid procession of personal and natural imagery that moves from place to place and symbol to symbol but ultimately never loses its cohesive dimensions or emotional shape.